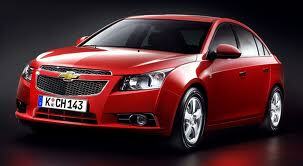 Chevrolet Cruze, is it here to stay? Is the Chevrolet Cruze here to stay? What is GM's plans for a flagship vehicle for years to come? One thing I wonder about GM is if they will keep a compact car in constant production creating massive brand recognition and allowing for more customer loyalty. It's my belief that they need a sub-compact / sports-compact vehicle that is here to stay. Being a former owner of a Pontiac G5 (which is practically the same thing as the Chevrolet Cruze). I have to admit that it "appeared" to be a nice car but it had its flaws. As of today, GM will start advertising the Cruze actively featuring the voice of the famous actor, Tim Allen. Chevrolet Cruze.net's Facebook & Twitter Groups! ChevroletCruze.net / HoldenCruze.net now has a Facebook Group (and App for that sake since you have to log-in now to like posts and what not ), as well as a Twitter account!